I get it. She wanted to ease into the process of a comeback, get a feel for the music climate at current, and spoil her fans with her gratitude. I get it, I get it, but I'm greedy, I'm needy, and it's been six damn years since "Make Me" was released and well, I was thirsting for Janet to bring us that dance floor fire, and well, finally, she's bringin' it...and literally too. "BURNITUP!" (all caps, cuz we're going for a feeling here...) is the banger that fills the void and snatches all the edges as it delivers just about everything you'd want in a hot cut. From punchy bass beats to a scorcher of a middle eight dance break, "BURNITUP!" is that fire and then some as it falls in line with other rough n' tough floor fillers like "Feedback" and "2Nite". Missy Elliott also busts into the "BURNITUP!" 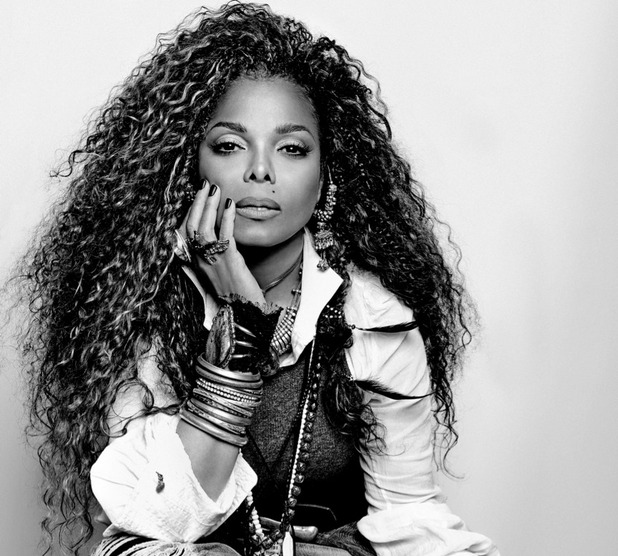 conversation, adjusting her comeback queen crown as well as she reunites with Janet (they first collaborated back in 2001 with Carly Simon on Jackson's "Son Of A Gun"), and lays on a popping string of flows that have her snatching the rest of the remaining edges that haven't already been singed. "BURNITUP!" is already having a good showing as it's blazing up Billboard and Twitter, and will no doubt hit a #1 sweet spot on iTunes over the weekend. Once again Janet has another good look, and though we're only a week away till Unbreakable makes it's official debut, this hot joint will keep the anticipation for it at an even greater fever pitch.